BCDB Rating: 4.8/5 Stars from 13 users. This page has been viewed 61 times this month, and 7979 times total. Cartoon Characters: Remy, Skinner, Auguste Gusteau, Linguini, Django, Anton Ego, Colette, Horst, Lalo, Francois, Larousse, Mustafa, Talon Labarthe, Pompidou, Health Inspector, Git, Ambrister Minion. Directed By Brad Bird, Jan Pinkava. Produced By Brad Lewis, Galyn Sussman, John Lasseter. Written By Brad Bird, Jan Pinkava, Jim Capobianco, Emily Cook, Kathy Greenberg, Bob Peterson. "Untitled Rodent Project (Working Title)." Production budget estimated at $150 million. You can watch this cartoon today on your computer. 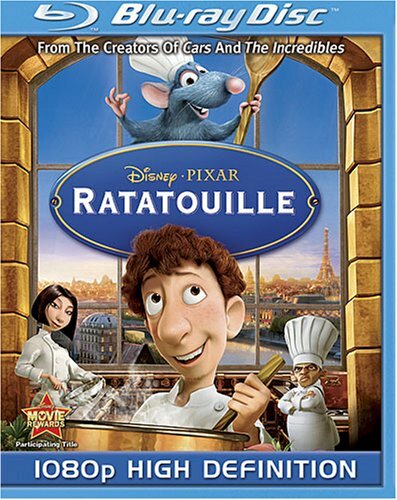 Just click below to start viewing "Ratatouille" online now. Do you have anything to add to this page? Have we made any mistakes... or do you have any additional information about Ratatouille? If so, we would love to hear from you. Please send us a quick note with your additions or corrections to this page, and we will make the corrections as soon as possible! Below are comments about this cartoon submitted by people who have seen this show. 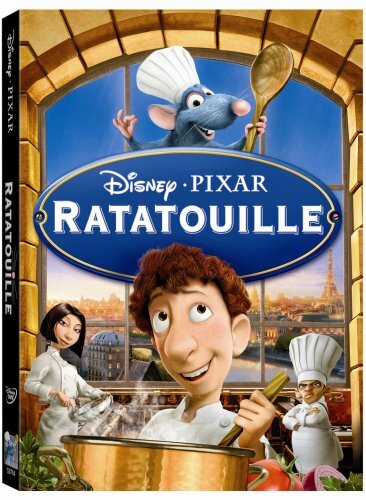 Take a look and see what others have said about Ratatouille. We want to know what you think, too!! Feel free to share your own opinion- we do want to hear from you! You can add your own comments here. This movie is 'lighter' than cars and a bug's life, but still meaningful. So it seems more acceptable by children. Ratatouille by Big Cartoon DataBase is licensed under a Creative Commons Attribution-NonCommercial-ShareAlike 4.0 International License.